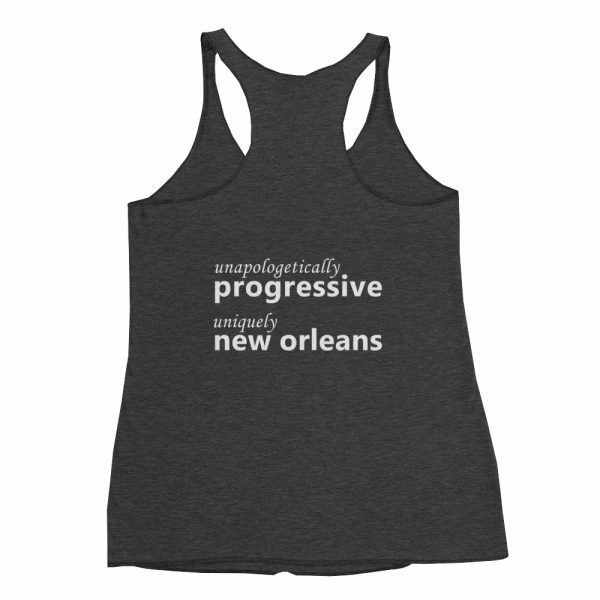 With this Big Easy Magazine signature product, you can proudly tell the world you’re unapologetically progressive, uniquely New Orleans, and a reader of Big Easy Magazine. 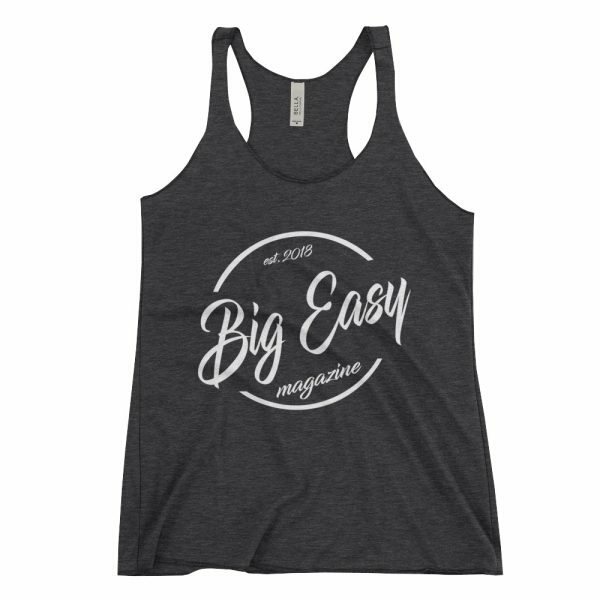 This racerback tank is super soft and comfortable. We print this on a Bella + Canvas 8430 Ladies’ Triblend Racerback Tank. 50% polyester/25% cotton/25% rayon.